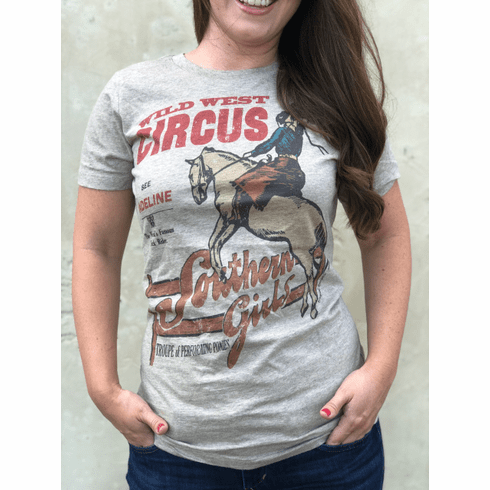 Original Cowgirl Wild West Circus Tee This old school tee reads like a vintage marquee theater sign: See Madeline the World's Famous Trick Rider. Southern Girls Troupe of Performing Ponies. With the look and feel of a vintage find, this soft comfortable tee will become your favorite go to tee. Dress it up or down, layer with a vest or jacket and add your favorite necklace.